“She what?” Dike held laughter on his face as he looked into his friend’s equally amused eyes that twinkled in the dimness of the office they were seated in. “She kissed him!” His friend replied in laughter and Dike laughed as well but he stopped just as he started. Dike who was initially scratching a spot on his trouser looked up into his friend’s eyes. The intercom on Felix’s table buzzed and he answered. “Mr. Enenche, your four o’clock is here,” his secretary chirped. “Tell them to wait,” Felix replied. “E be like say na go get me now.” Dike stood to his feet and straightened his trousers. “How far with that your investigation on that website nau?” he asked Felix. “I might just do.” Dike smiled and walked out of the office. Kachi blew a bubble into the minty gum in her mouth and drew it back in with a pop. Chewing noisily, she moved her bum restlessly in the seat beneath her. She was uncomfortable, her waist felt like it was on fire and her bladder threatened to explode. She had been sitting in Ene’s car for two hours and the long wait was beginning to tell on her. Yet she held on. Dike was going to appear from Greek Elysium anytime soon and she was going to follow him to his mistress’ home. Kachi didn’t care if the woman lived in a different city; she had a full tank, a car full of snacks and even a bottle to pee into if it came to that. She felt a sharp pain in her left temple and concluded it was time to throw the gum in her mouth away. It had awoken her migraine veins and stiffened her jaw. She let down the window and spat it out. Next, she looked for something else to put in her mouth. She found a can of Pringles and went for it. 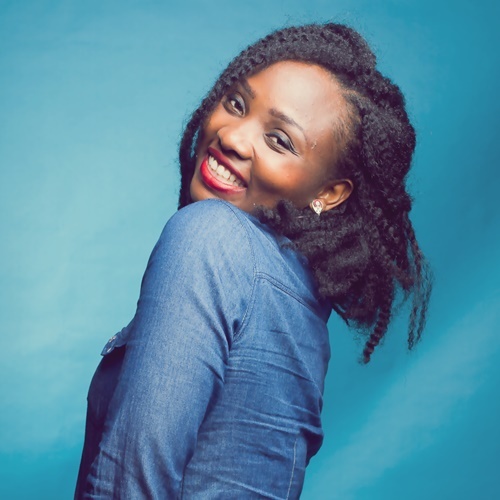 Somewhere else in town, in a popular private clinic in Maitama, Temi had just been handed her blood test results. She carefully dropped her handbag on the waiting bench behind her, stared at the paper in her hands numbly and spoke incoherently to the nurse standing before her. “I can’t hear you,” the nurse said impatiently. The nurse gave Temi a nasty eye work-up that went down and up and down again before she stopped on her face. “Three weeks?” Temi said to herself, still staring into the paper. The irate nurse turned and marched away. Staring vacantly in confusion, Temi slipped slowly into the waiting bench and dialed her estranged friend, Hafsa. Predictably, Hafsa did not answer the first two times until she dialed the third time. Hafsa hung up. Temi held her phone in both hands and was tempted to dial Dike but commonsense prevailed and she put the phone away. The moment she dropped it her handbag, it buzzed in and she got it out. It was Dike pinging her. He was asking if she was home. She put the phone away again but it began to ring. She didn’t have to be told he was the one calling. She took out the phone and there was a moment’s hesitation before she answered. “I’m at Hafsa’s,” she replied. “Rice and coleslaw,” she answered. Kachi watched Dike on the phone as he emerged from Greek Elysium and neared his car. He opened the driver’s side door and threw in his suit before he got in. Leaving his left leg outside in typical fashion, he concluded with his call. Unable to wait, Kachi started the car and left the engine running. Finally, Dike got into his car and drove out of the area. Kachi tailed him closely but gave him a good distance. As they approached a busy street, her phone started ringing; she stared at the caller ID and saw that it was Ene calling. She ignored it just like she had ignored her calls all day. She knew what Ene wanted to tell her. It was the same thing that had gotten Kachi all riled up the night before. Kachi could clearly recall the expression on Ene’s face as she had walked away from her. Her friend was evidently wounded. She had always been a fine friend. She was the only one who had gone out on a limb to ensure that Kachi got back with Dike. While she was still in Suleija, Ene would call her almost every day and would begin each conservation with, “when are you coming back home?” It was also Ene who submitted Kachi’s CV to a new primary school in Jabi and arranged a date for the job interview for her. Kachi had reluctantly gone for the interview, making it to Abuja and back to Suleija on the same day, without seeing Dike. She had not expected the school to call back but when the call came, she knew it was time to listen to Ene’s good sense and save what little was left of her marriage. Ene was definitely the guardian angel God had put into her life and Kachi was filled with regret as she recalled her insensitive words to her. She erected a huge mental signpost to call and apologize later. Also she had to apologize for stealing Ene’s car key and driving away with the car from right outside her boutique earlier. Kachi parked across the street from an eatery Dike had gone into earlier. As she waited, she descended on her Pringles and a bottle of warm water. Then her phone began to ring again. Ene was calling for the twenty-eighth time. Kachi watched it ring with a growing annoyance as it added to her throbbing migraine. Sighing, she visited that mental signpost and decided to pick the call. Temi looked at the strange, scrawny girl Hafsa had brought to convince her that Dike was married. Temi had never met the girl before and at first glance, she concluded that she didn’t like her, especially her pimpled-tattooed face. “Dike is divorced,” Temi mentioned smugly and the girl shook her head at her. Hafsa turned from behind the wheel and looked at Temi who was seated behind carrying a stubborn expression on her face. Temi’s eyes shifted to the left and right as if trying to escape the truth. She sensed a wave of tears sprint up from her insides but her buzzing phone in her pocket stopped her from crying. Dike was pinging to let her know he was already waiting for her at her place. “Take me home, please,” she told Hafsa. Hafsa said nothing and turned on the engine of her car. The three girls drove to Temi’s neighborhood in silence and when they came to the gate, Temi stepped out of the car. “Wait for me. You can park where he won’t see you. But wait… I won’t stay long.” She got out and walked into her building. Kachi was doing another long wait. At least, that was what it seemed like but she had only waited for ten minutes. Dike’s car was hiding under a grove of mango trees near a house that had a TO LET post on the gate. Kachi had followed him on foot when he got out of his car and trekked to Temi’s street but she stopped when she saw the house he walked into. Kachi noted the house number and name of the street and went back to wait for him. Her heart was a bit lighter after apologizing to Ene; now, all she needed was to catch Dike in the act. But she felt he was taking too long and she needed to take a pee badly. She crawled to the passenger seat, got out through the door and stooped down beside the car to do her business. After she was done, she stretched into the car to get a tissue and she noticed Dike strolling down with a beautiful and fully endowed girl. They were approaching his car. Kachi stumbled back into the car with her jeans and underwear halfway down her bum. Pushing her petite frame in back behind the wheel, she lowered herself but kept her eye level unblocked. Dike and the girl stopped by his car and they both got in. Kachi raised herself to get a clearer view and was dismayed to find the duo kissing in the car. Unrestrained, she began to steam up like a pressure cooker and reached for her Pringles to control her. Stuffing chip after chip into her mouth, she chewed furiously as Dike continued his lewd act in dimming daylight. When she knew she couldn’t take what she was seeing any longer, she started the car and drove out of the neighborhood in a rage. She hadn’t much to say to Ene when she dropped the car off minutes later. She simply thanked her and got into her own car and maintained her rage as she drove home. The three girls in Hafsa’s vehicle were riding in silence again. Having said goodbye to Dike, Temi agreed to be driven to his home to ‘see for herself’. She had now folded and unfolded the pregnancy test result till it had formed dirty, rough edges. She had tried for tears but found they were far from coming. She didn’t know exactly what she felt. A part of her (that kissed Dike unrestrainedly in his car) refused to believe Hafsa and the scrawny girl; another part of her itched to share the news of the pregnancy to Dike and damn the consequences; yet another part drew her to seek the truth. “Tems, are you okay?” Hafsa asked in concern and Temi nodded with a smile. She had missed her friend for a whole month and held back in calling her because of her big ego. Still, it was a good thing they fought, else she wouldn’t have gotten close to Uyi whom she found herself thinking about very frequently, even more than Dike. She pressed a button on her phone and the backlight came on, illuminating the car which was currently as dark as it was outside. Temi began to thumb her phone and sent a quick text to Uyi. Miss u. need to see u. desperately. urgently. in an hour or so. Please? She added a batting eyelash smiley and sent the text. Uyi replied immediately with a full grin smiley. Working overtime. Will be there when I’m done. Hope there’s food and a warm blanket 4me. Might sleep over. Temi smiled. Uyi always made her smile. “Okay. We’ve seen. Can we go now?” Temi grumbled but Hafsa stopped her. “Look… That’s Dike’s car!” Hafsa pointed to Dike’s Audi S6 driving down the road towards his building. As he approached, all three girls docked. Dike stopped outside his gate and blared his horn. The girls slowly raised their heads again as another smaller car came into view with bursting speed. “I think that’s the wife’s car,” the girl sitting in front announced. Hafsa and Temi strained their necks forward to have a look. The small car stopped behind Dike’s and the driver, a short, beautiful but troublesome-looking woman, alighted from the car. Dike also got out from his car and hugged the woman, lifting her off the ground to give her a kiss that caused Temi to swallow painfully. She spied Dike’s wedding finger and saw a gold band she had never seen on him before. She proceeded to bite her lip really hard and when she felt she was going to bruise it, she chewed her nails very fast and angrily. “Convinced now?” Hafsa asked Temi, watching Dike and his wife discuss by his car. Temi looked at the pregnancy test result in her hand and tapped the girl in front of the car.
? ?a?????v?????? only one thing to say to U????? sally..God bless U???? ?.Amen.please upload the next episode.can’t wait to read it..a very wonderful piece from yours truly.. CALM COLLECTED VOICE…”Please can I have that number, his wife needs to hear of her husband’s latest accomplishment.” What a gal!!! Classic line I might add! I always wonder what a woman would do if she confirms her man is a low down dog..just wondered! I love the men in this series, they are so real it’s eerie! Okay one last thing, I love how you peg Kachi…she’s all female aint she? that thin line btw loe and hate is there and hormones tend to lean towards killing before trying at life again…personally I’m in awe as to what makes the female so lucid in matters of the heart. LOL.. Honestly that Dike guy is a clown, i always burst into mad laughter when a man claims midlife crisis, mtssschheew! Make we hear word jor. Aah Temi, she don enter one chance… Am wondering how all plays out from here on, can’t wait for the next episode. Lovely! Maam, your stories have made a junkie out of me! Such a heady rush to reach the end, and when i get to there, i await the next shot with feverish anticipation! WOW! This is definitely not the end! I love this story! Full of suspense and intrigue. The Author should please take it to Nollywood as a movie Script! Would make a great movie to watch! Cheers!